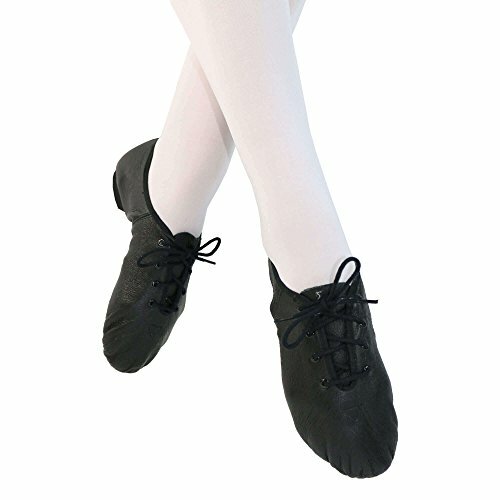 Danzcue Jazz Shoes are lightweight and made of a smooth and durable leather fabric. Triangular neoprene section down the top middle of the shoe allows shoes to mold to your feet with every pointe and flex. Split sole and lace up style.